People who live in large metropolitan cities have a unique sense of distance in relation to space. A city is defined not by how far away destinations are, but how long it takes to reach that destination. The perceptions or urban residents are moulded by the way they travel: by foot, tube, bus, car, bicycle or motorbike. The accessibility of the city varies significantly depending on which mode of transport is used and which time of the day is chosen to travel. Through these shifting layers of communication the participant is constantly making choices as they race through the city, shaving seconds to release ‘quality’ time for work or leisure. It was argued by Guy Debord that ‘…we must replace travel as an adjunct to work with travel as pleasure.’ Pleasure is created through a sense of choice. The Cartesian logic of the multi-paged A to Z or Harry Beck’s reductionist tube map disenfranchises the populace. These blunt tools mobilise the public without giving information about relationships between areas within the city. Michael Pinsky changes this perception of the city of London by creating maps for The Economist that reflect travel time, disregarding geographical distance, mapping all modes of transport so comparisons can be made. These distorted maps are both subjective and entirely objective. They directly document the artist’s journey through the city as as he tries to make sense of the network that all city dwellers are connected to for most of their lives, whether it is transport or other forms of communication such as the phone, email or mobile systems. 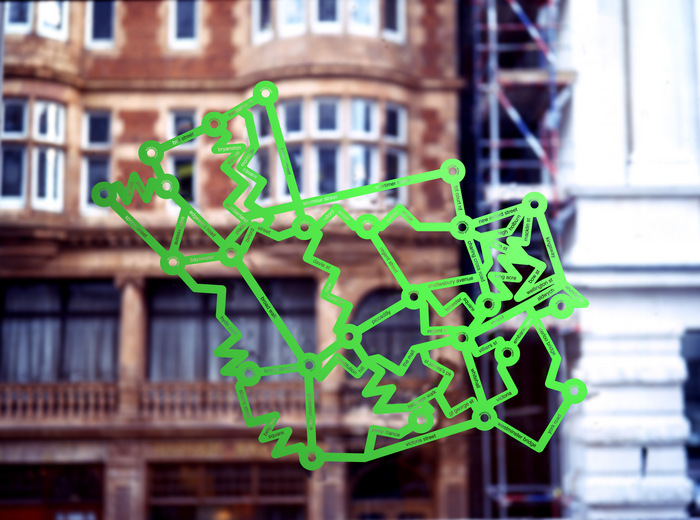 Pinsky takes the combined roles of urban planner, activist, researcher, resident and artist to create an artwork or tool, which proposes greater transparency of the city’s networks. This exhibition takes The Economist Building as the centre point of these maps. Reflecting this, the windows will become enlarged maps with the city as a backdrop. Video monitors will portray the artist’s personal journey through the city at high speed and a three-dimensional map will reveal the differences between each mode of travel. 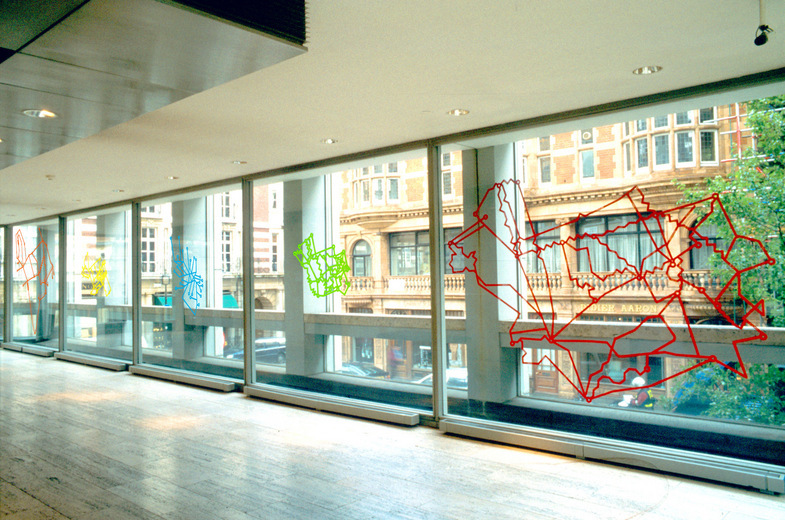 Pinsky graduated from the Royal College of Art in 1995. His work explores relationships between architectural spaces and perceptions of time. Pinsky’s most recent projects include; Transparent Room, a site-specific video installation touring the UK, funded by the Arts Council of England, Overload, an installation shown in Weimar and developed during residencies at the Zentrum fur Kunst und Medientechnologie (ZKM), Germany, and the Ecole d’Art d’Aix-en-Provence, France. From December 2000 Pinsky will be Artist-In-Residence at the V2 Lab for Unstable Technologies in Rotterdam. His work has featured in publications such as Creative Camera and The Guardian.